Amazon's all-new Kindle Paperwhite (4 gen) is a perfect companion for book enthusiasts as it can accommodate truckloads of reading content. It works in all lighting conditions and also, you can take it out even near the swimming pool and read fearlessly without worrying the device might get damaged. 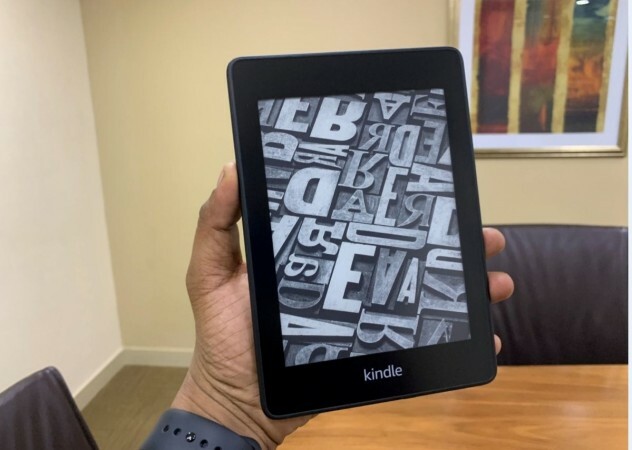 Since the very beginning in 2007, Amazon's Kindle series—be it Voyage, Oasis and Paperwhite—have been a crowd favourite among e-book readers. Recently, Amazon launched the all-new Paperwhite (4 Gen), tenth Kindle version in 11 years. 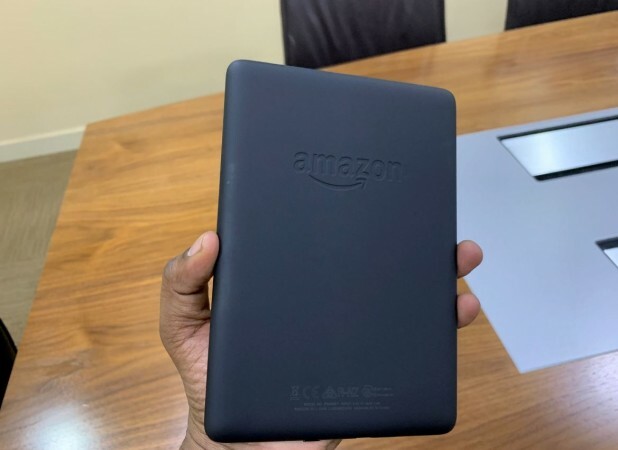 The company claims to have added new features and also the new Kindle Paperwhite is said to be more durable compared to any previous iterations. I have been using the device for close to a week and here's what I think about it. The all-new Kindle Paperwhite's design language is simplistic. It has smooth sides and curvaceous corners. It has just two physical touch points at the base, one power button --on/off and the micro USB port for charging. Rest of the three sides are clean adding value to the visual appeal. On the back, it has 'Amazon' engraving on top in the middle and standard model details at the bottom. The whole shell comes in black-shade with matte finish offering good grip for the fingers to hold on to it. For the first time, Kindle Paperwhite series also comes with IPX8 waterproof certification, meaning it can sustain not just accidental water splash or rain showers, but also survive underwater submerged for close to 60 minutes up to 5 feet (around 1.5 meters). For the sake of testing, I kept the new Kindle Paperwhite under tap water and washed it off with a dry cloth. I then tried using launching the device by pressing device's wake button, it worked. I also tested the on-screen buttons on the display panel and to my surprise, it worked flawlessly. Another big improvement is the display panel. It sports a 6-inch display with 300 ppi (pixels per inch), which promises crisp and laser-quality text on the screen. It boasts E Ink Carta technology, built-in light (five LEDs), optimized font technology, 16-level grey scale and an adjustable front light for a uniform, glare-free display in any setting – be in low-light conditions or with direct sunlight from above. Amazon Kindle Paperwhite (4 gen) has simple and minimalistic user-interface; even a first-time consumer can set it up and start using it no time. I hardly took 10 minutes to launch it, connect it to Wi-Fi and open my Amazon account. If you happen to have purchased several e-books and downloaded to older Kindle series e-reader, all will get automatically synced to the new model seamlessly. It is much easier than transferring app-data from one phone to another. With just a tap on top of the screen, home button, settings will appear and there you can adjust brightness, font size and even dark reading mode, which makes the background go black and the words light up, which is best for people to read e-books in the night but can't use the bed lamp so that the partner beside you, need not get disturbed. It also offers options to adjust font size, font face, line spacing and margins. While setting up the Kindle for the first time, it asks what kind of genres of books we prefer. It lists a series of book titles and we have to select them and this apparently helps the device on what to suggest. It doesn't stop there, as the device continues to learn our reading habits and begin suggesting the titles worth reading. Another interesting aspect of the new Kindle Paperwhite is the VoiceView screen reader. It can be activated with a Bluetooth-based wireless headset. It provides spoken feedback, which allows us to navigate the device and read books with text-to-speech, but it is currently available in English only. 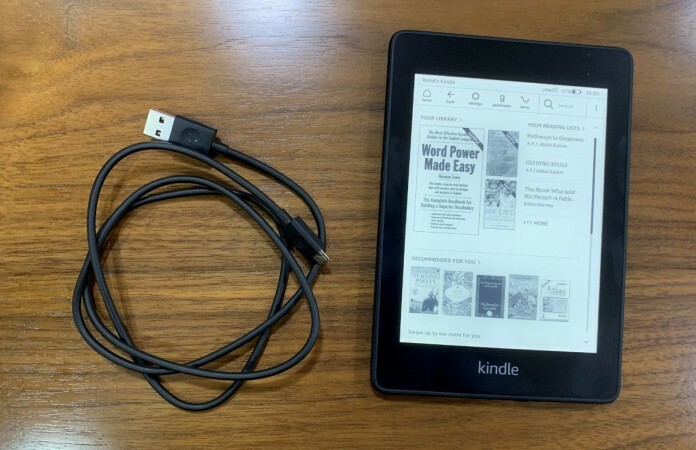 Since it is just used for reading, Kindle Paperwhite can last for several days if not weeks with just a single charge. I opened the review unit last week with 80% and yet, it still has more than 35% battery life. Overall, the new Kindle Paperwhite (4 gen) is a perfect companion for book enthusiasts as it can accommodate truck loads of reading content. If they are hard-cover, it can easily fill up a library, but with Kindle Paperwhite, you can carry it in your back pocket. It works in all lighting conditions and did not hurt my eyes during the entire review period. Also, you can take it out even near the swimming pool or any water body for that matter and read fearlessly without worrying the device might get wet. You can just wipe the liquid and continue reading. 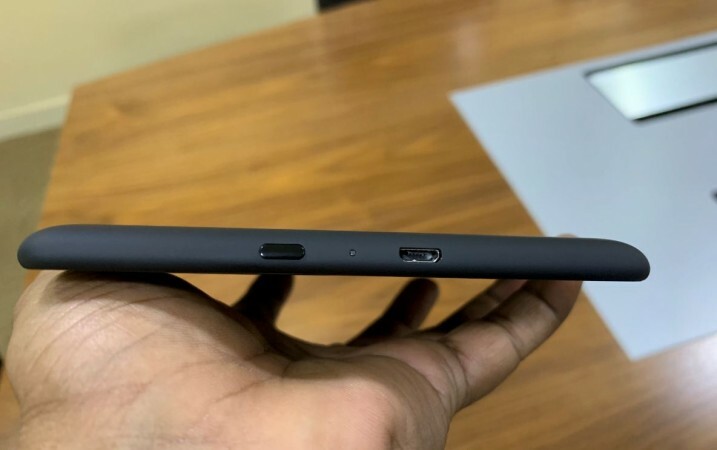 The top-end model comes with 4G support, meaning it can truly be a mobile device, which doesn't have to depend on companion phone for Wi-Fi hotspot to access or purchase e-books on the go. Amazon Kindle Paperwhite (4 gen) comes in two models—8GB (with Wi-Fi only) and 32GB (with Wi-Fi & 4G)—for Rs 12,999 and Rs 17,999, respectively. The former is already available for purchase on Amazon India, while the latter is slated to go on sale on December 5. Consumers who pre-order it now are entitled to get three months of Kindle Unlimited for free. They get unlimited access to over 1 million titles including— The 7 Habits of Highly Effective People, Strength Training, Quidditch Through the Ages, Ikshvaku Ke Vanshaj and more. Stay tuned. Follow us @IBTimesIN_Tech on Twitter and on Google News for the latest updates on Amazon.